Gastric proteolysis is assumed to be low in the newborn (Britton & Koldovsky 1989). Postprandial pepsin output is significantly lower in preterm infants than adults, 589 vs. 3352U/kg, respectively (Armand et al. 1995, 1996). We now report on gastric proteolysis in preterm infants (gestation age, 29 weeks; postnatal age, 5-6 weeks) gavage-fed mother’s milk or preemie formula. 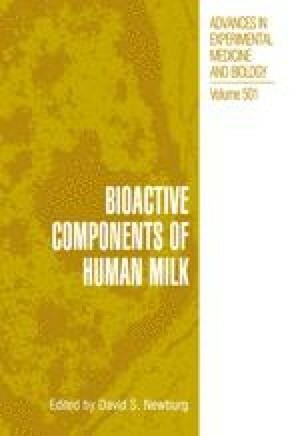 The data show that a) the nonprotein component is higher in human milk than formula, b) net proteolysis amounts to 15% of protein, c) gastric proteolysis is lower than lipolysis and, contrary to the latter, is not enhanced by milk feeding (Armand et al. 1996). We suggest that stomach pH, enzyme output, and food structure are the reasons for differences in gastric digestion of protein and fat in infants.